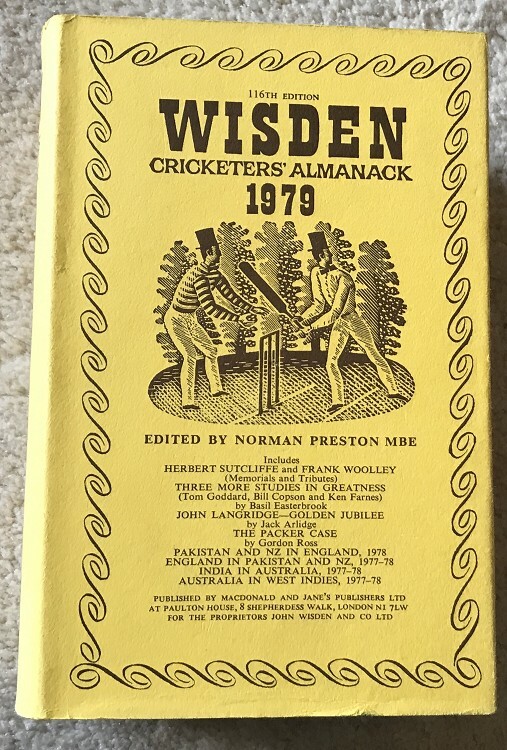 This lot is an 1979 Original Hardback Wisden with Dust Jacket, the book is in Good+ condition for the year. A nice DJ although it has some markings to the spine and rear which are a bit off putting and a couple of small nick to the top of the spine , internally very nice with some dustyness to the top of pageblock. A lot better than many 1979s.